Support development and peace by providing at-risk youth with life-changing opportunities to study music in a proven, world-renowned program. 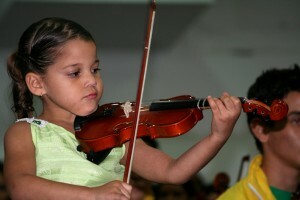 Join Peace Boat US in gathering musical instruments for the El Sistema program in Venezuela! 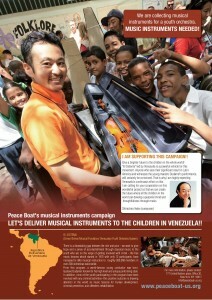 Join Peace Boat US in gathering and donating musical instruments to the El Sistema project in Venezuela! Support young people through opportunities to study and create music and develop creativity, self-esteem and hope! 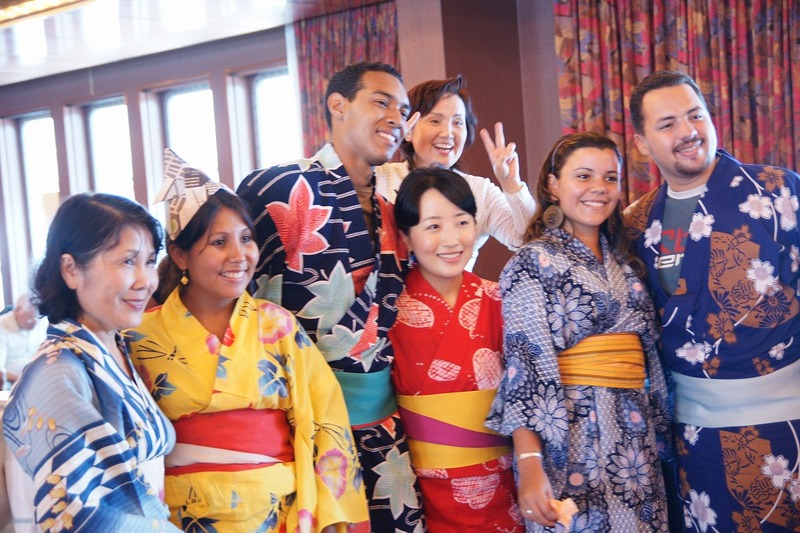 Peace Boat – our sister organization in Japan – has been gathering and donating instruments to the world-famous El Sistema program in Venezuela, after learning about their enormous achievements and history during a visit and study program in 2007. Peace Boat US now joins this project to support El Sistema by gathering instruments from around the US and delivering them by ship or other means. 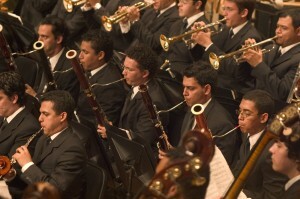 El Sistema, a non-profit organization and social movement founded in 1975, is world-renowned for bringing musical opportunities to millions of young people living in poverty. At the moment, over 300,000 youth participate in over 150 youth orchestras, symphony orchestras, and music schools around the country. The El Sistema model of music education, utilizing a decentralized structure, local schools and a powerful and effective pedagogy, has spread to many other countries around the world, and produced a number of famous musicians and conductors. Yet the need for instruments – that is, the number of young people living in poverty and at high-risk of being drawn into violence, yet who are eager to join a music program – continues to far out-pace the supply of musical instruments for them to play. Peace Boat and Peace Boat US are working together to make our contribution, and we invite you to join us! Strings, wind, and percussion instruments of all kinds, and accessories (bows, reeds, cases, maintenance tools, etc). In the case of large instruments, please consult us before donation. Only instruments in working condition will be accepted. Peace Boat US is a civil society, non-profit organization working to promote peace, sustainable development, human rights and respect for the environment through educational programs organized in partnership with the NGO Peace Boat, which carries out its main activities through a chartered passenger ship that travels the world on peace voyages. Founded in 1983, Peace Boat is an international non-profit and non-governmental organization that has traveled with over 45,000 people onboard, visiting more than 180 ports, creating a civil society network. Together we’re supporting El Sistema, one of the great youth music programs in the world, to reach more youth living in poverty with opportunities to learn and grow through music.